The first of Paul's final series of letters—which along with 2 Timothy and Titus are called the Pastoral Epistles—1 Timothy offers practical and pastoral advice from the aging Apostle Paul to a young pastor named Timothy working in the church at Ephesus. More than a decade prior to writing this letter, Paul had first met Timothy in the city of Lystra—in Asia Minor—where Timothy was known and respected by the Christians (Acts 16:1-4). Upon recognizing Timothy's impressive qualities, Paul recruited the young man to travel with him as he continued his second missionary journey. The presence of Timothy would have met an important need for Paul, their friendship coming on the heels of Paul's split with his close friend and partner in missions, Barnabas (15:36-41). Timothy's youth no doubt served him well, allowing for the energy and vigour he needed to serve his people. However, it also caused inevitable difficulties with older Christians who may not have taken quickly to the leadership of such a young man because of his lack of knowledge and experience in leadership. It was important to Paul that Timothy set an example of consistent faith and a good conscience, remaining above reproach and exercising the spiritual gifts that God had given him (1 Timothy 4:12-16). 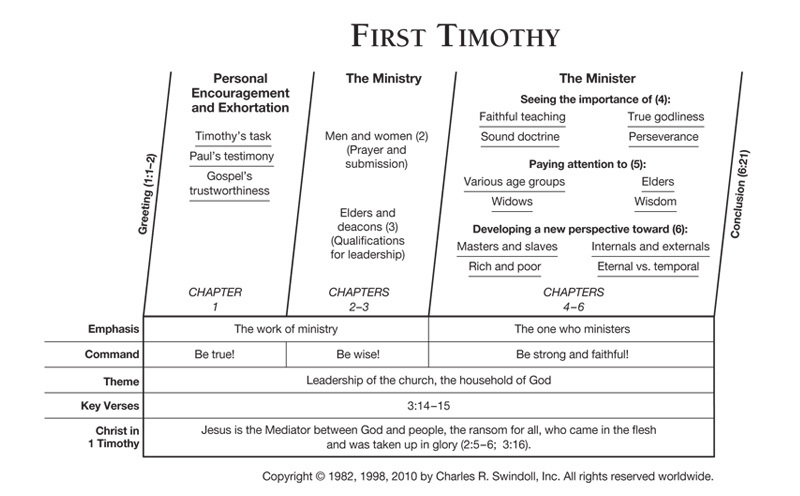 Find resources in the book of First Timothy in our resource library.